The structure is the critical part of Operation DOG TAG because of its use of existing organizations, communities, and facilities to get Veterans involved in golf to help them deal with various issues. Operation DOG TAG provides a process and opportunities for existing organizations and communities to develop partnerships with local golf courses and golf clubs to make golf more accessible to Veterans in the area. There are three components to Operation DOG TAG: sponsors, facilitators (golf courses and golf clubs), and competitors (Veterans). The partnership between sponsors and facilitators (golf courses and golf clubs) provides critical social, mental, and physical support to Veterans. The structure and guidelines allow sponsors and facilitators to form partnerships with Veterans’ associations to use golf as a means to help Veterans, especially Veterans dealing with PTSD, by using golf as a viable therapy option. 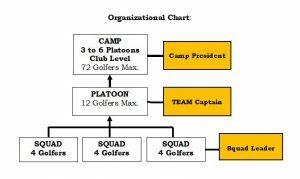 Operation DOG TAG will be organized into squads of four golfers, where three squads form a team, and four to six teams form a camp (maximum of 72 golfers). Squads, teams, and Camp organizations function to provide coaching, practice rounds, annual tournaments, and championships to Veterans. The limit of 72 golfers at the camp level is to have the camp provide social support to Veterans on an individual level. Sponsors provide logistical and financial support to facilitators (golf courses and golf clubs) to provide Veterans with a facility to train, have practice rounds, tournaments, and championships. Sponsors main function is to collect and provide equipment, supplies, and monetary support to the facilitators and to carry-out their function and mission. In most cases, sponsors operate under 501(c)(3) status. This allows these organizations to provide a tax-deduction incentive in collecting money and/or equipment from co-sponsors (individuals or organizations, companies, corporations) to support Operation DOG TAG. Sponsors are encouraged to participate in designated tournaments and championships as players and provide logistic support, marketing, and volunteers to work tournaments. 3.2.1 Sponsors are encouraged to elicit the help and the participation of local VFW’s and other veteran organizations. This provides specialized assistance to Veterans. 3.2.2 Co-sponsors (individuals or organizations, companies, or corporations) are those individuals or institutions that do not necessarily operate under a 501(c)(3), but want to support Veterans programs, like Operation DOG-TAG, and participate in tournaments and championships. Co-sponsors can function as players, rules officials (based on USGA Rules), hole captains, marshals, scorers, registers, administrators, and events staff. 3.2.2(a) With the advancement of golf club technology, golfers usually have a spare set of golf clubs that can be donated to sponsors and used in the mission of Operation DOG TAG. This equipment will provide Veterans with a set of golf clubs where Veterans can start learning to play golf, without having the financial burden of purchasing used or new equipment. 3.2.3 Additional opportunities for sponsors and co-sponsors to support Operation DOG TAG are with setting up fundraisers, dinners, concessions, and entertainment connected with the tournaments and championships. Concerts with local and national performers can provide sponsors and co-sponsors with the opportunity to raise money and, more importantly, honor and bring awareness to contributions made by our Veterans. This allows the community to take ownership and become involved in the local Operation DOG TAG camp. This is an open opportunity to bring people into the sport of golf and enjoy the fitness and health benefits that golf provides for both Veterans and local golfers. With squads, teams, camps, and sponsors participation to negotiate monthly dues with golf courses and golf clubs (it is recommended that dues be offered at a 40 to 50 percent discount of regular golf course or golf club monthly dues). The amount of the discount can be recognized as a contribution made to the sponsor by the facilitator. No joining fees for Veterans participating in Operation DOG TAG. Provide up to (two) 18-hole rounds or (four) 9-hole rounds of golf per week. Provide two tournament per year. Provide one championship per year. Provide area to conduct at least two fundraisers per year. To hold Nineteen-hole meetings after each round of golf. 3.3.1 The Function of the Golf Course and Golf Club is to: integrate Operation DOG TAG camps in with golf course or golf club membership. Hold two tournaments on Memorial Day and/or Veterans Day. These tournaments can be set up on a match play or stroke play format. One of two tournaments is set up with membership of the golf course or golf club, where each squad has two Veterans and two course or club members. If necessary, this Veterans/members tournament can consist of two rounds, one in the morning and the other in the afternoon. An additional fundraising tournament can be planned, consisting of Veterans/Corporate leaders based on a four-man scramble format. This tournament is set up where two corporate members sponsor a squad to raise funds for the local camp. 3.3.2 To grow the game, the host golf course or golf club can offer Veterans with special joining membership opportunities to become members of the golf course or golf club. This will provide better opportunities for the Veteran(s) to improve their golf game and increase participation. To qualify as a competitor (Veteran) in Operation DOG TAG, the competitor must be a Veteran that has been discharged from any of the five services (Army, Navy, Marines, Air Force, or Coast Guard). The competitor agrees to abide by regulations in Section 3.4.2 and attend at least two Nineteen-Hole meetings each month. These meetings are conducted after each regular round of golf. 3.4.1 The regulations governing the Veterans participation in Operation DOG TAG shall consist of the following: the application of the USGA Rules, golf course or golf clubs’ regulations and rules, and golf etiquette, with respect for the game of golf and fellow competitors. This also includes any regulations put in place by the Camp membership. Each squad will elect a squad leader. Each platoon will elect a team Captain. Each Camp will elect a camp President. New Veterans in Operation DOG TAG learning the game of golf should play the first five to six rounds, based on a four-man scramble format. This provides a better support and instruction platform for the beginner golfer. This will also place less pressure on the beginner golfer and improve the playing conditions for the beginner and other players on the golf course. The main benefit in a four-man scramble format is that it improves the pace of play and places less pressure on the beginner golfer. 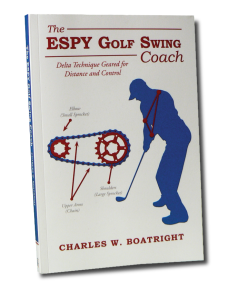 This is described in Section 11 in the book, The ESPY Golf Swing Coach. The squad leader, team captain, and camp president are required to provide leadership, both on and off the course, to fellow Veterans. Leaders, captains, and president will host the Nineteen-hole meetings, including special speakers and guests to address needs of Veterans on a quarterly basis; and stay in contact with the Veterans in their squad, platoon, or camp. The squad leader, team captain, and camp president are encouraged to provide health and fitness programs to assist the Veterans in their squad, team, and camp. Mental fitness depends on physical fitness and good nutrition. Physical fitness also prevents the likelihood of injuries. Ergonomics is a key part of The ESPY Golf Swing Coach technique that can be applied to Veterans’ fitness program. 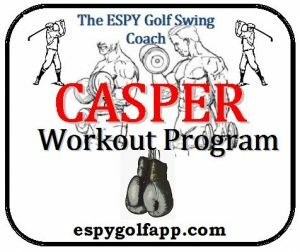 In Section 20 of The ESPY Golf Swing Coach, there is a detailed Exercise and fitness program. During rounds and tournaments, it is encouraged that participants walk the course, if capable, using a push-pull cart. For those needing assistance, golf carts and other devices can be used to assist the Veteran’s mobility and ability to participate in golf. The main objective is to get Veterans out onto the golf course and provide a social structure that will challenge them. Rounds can consist of nine or eighteen holes, based on schedules of the Veterans or availability of the golf course or golf club’s schedule. 11.1 The best method for a beginner to start playing golf is to play two-man or four-man scramble for the first five or six rounds. There will be less pressure on the beginner during the first rounds of golf, without hindering others. The scramble technique translates into better results, with increased confidence. Scramble golf is like training wheels for the golfer. During these first rounds, the beginner’s objective is to make good contact and hit the fairway, without concern for distance or score. Distance and scoring will come later, as the golfer becomes proficient with the ESPY Golf Swing. In scramble golf, players make their own tee shots from the tee box, and then all other shots, including putts, are played from the best ball position. 3.4.3 Veterans joining Operation DOG TAG that need assistance with dues, golf equipment, and golf supplies can request this assistance. Equipment and supplies will be made available to the Veteran(s) through the squad leader from the sponsor. All dues will be paid for by the sponsor for those Veterans needing assistance though the sponsorship program. For those Veterans that will join the local golf course or golf club as members, they can request golf equipment and supplies, as needed. 3.4.4 Tournaments between camps can be organized by the camp presidents and sponsors of each camp. The tournament can be based on Scramble, Match Play, Stroke Play, or combination of these. The tournament can be for one day or a span of two days. It is recommended that tournaments and championships be restricted to two days and kept within a region of adjacent town, county, or state to cut down on expenses. 3.4.4(a) Camp tournaments should be marketed to the community to bring awareness to PTSD and offer local Veterans with the ability to join a camp in their area. Veterans can attend these tournaments to form new squads, teams, or camps, if one doesn’t exist in their area. Other camps are encouraged to assist in forming new squads, teams, or camps in their area or other regions. Veterans from the newly-formed squad, team, or camp can participate in rounds, tournaments, championships, and meetings to help understand the structure and operation of Operation DOG TAG. 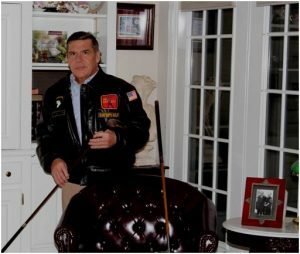 It is also recommended that local VFW’s and other Veterans organization take part in setting up new squads, teams, or camps and also to provide support. 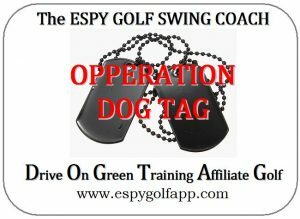 It is recommended that instruction, training, and practice (based on the 405- Training Drill) for Operation DOG TAG be based on The ESPY Golf Swing Coach format. The ESPY Golf Swing Coach is a self-coaching format that provides the golfer with basic and advanced training techniques, using the Critical Swing Path process. 3.5.1 This allows the golfer to use a baseball-style golf swing that is well-established to develop critical muscle memory. 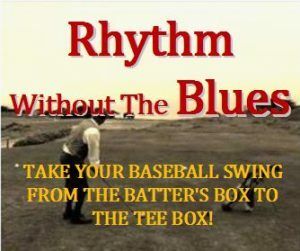 The golfer is able to take their baseball swing from the batter’s box to the tee box, with confidence and familiarity to create an instinctive golf swing. Very few baseball batters standing in the batter’s box have to think about their mechanics or techniques, especially when focusing on a 90-mph fastball. This is what The ESPY Golf Swing Coach provides. Normal and routine tasks and conditions must exist. Rely on a high degree of relaxation, confidence, and muscle memory. The conscious and subconscious minds are focused on two different situations. Any additional expenditures that are incurred beyond the normal negotiated operating cost of conducting the regular tournaments or fund raisers should be offset by contributions from various events. The costs that are not offset by tournament or championship fundraisers will be reimbursed to the golf course, golf club, or other supplier or contractor for services rendered, as paid by the sponsor. All expenditures over one-hundred dollars ($100.00), for example, will be submitted for approval by squad leader, team captain, and/or camp president, and sponsor before payment is made. These costs are for such events in Section 3.4.5(c). Most generally, the objective is to have monies from these type of fundraisers to cover such costs. Most generally, performers and contractors usually donate their time and services to help raise money to sponsors Veterans’ activities. 3.5.1 Annual audits of camp’s and sponsor’s financial records will be conducted by an accounting firm for financial activity that exceeds a total annual collection and expenditures of two thousand dollars ($2,000.00). This will provide a level of confidence for contributors to donate and be associated with activities conducted by sponsors, facilitators, and competitors. Accountability is critical for the success of Operation DOG TAG. For information or question about Operation DOG TAG please contact me at 1-888-514-1228 or Email me at epysygolfapp@gmail.com. Section 4 deals with the Operation DOG TAG| Community Support. 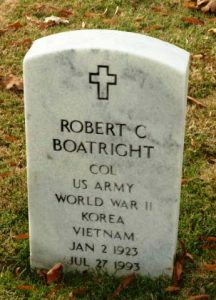 I would like to dedicate Operation Dog Tag to Colonel Robert C. Boatright who served his country in World War II, Korea, and the Vietnam Wars.